Its not often that I blog here on my fascination with maps. 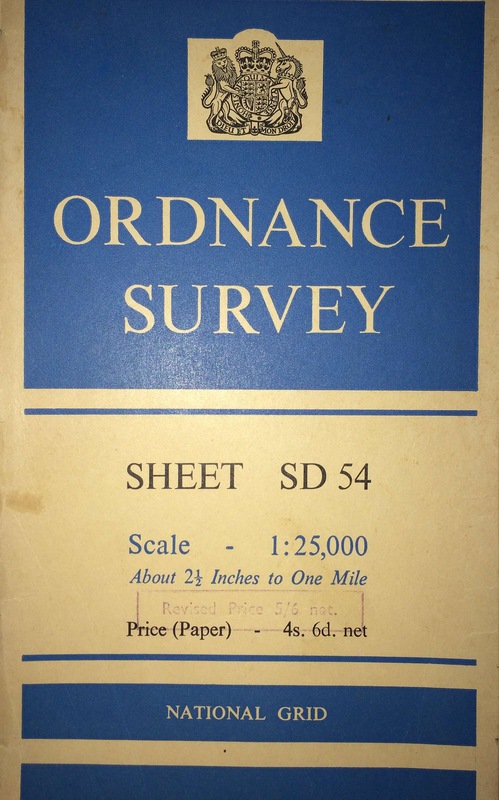 But yesterday’s find in a charity shop, a 1955 map of my home area, an OS Sheet SD54 1:25,000, brought home once again how wonderful it is to get lost in maps. Its fascinating to see how both the natural and man made landscape changes over decades and indeed how cartography styling changed. The nearby Beacon Fell, my ‘get out for a short cycle or walk’ area, shows hardly any trees in 1955, it is today just about 90% forested, unfortunately with many non native trees, although there is a programme to remove or to thin these in progress. The circular one way road, that now has umpteen Strava segments and a favourite for Preston boy racers had not been built, neither has ‘the tarn’ (now an SSSI), the visitor centre or any of the car parks! Fairsnape Fell was dangerously close to Yorkshire (!) and noted as being in the Bowland Forest, Higher Division. My home village of Inglewhite just on the southern edge of the map proudly displays a P (Post Office) – now sadly gone, a couple of decades ago. The map, reprinted in 1956 with minor corrections is based upon 1907-1930 surveys, is littered with the beautiful icons and information typical of a bygone cartographic era. The scale bar gives measurement in furlongs, in feet, in yards and in miles. The magnetic declination is a whopping 10 deg west, which must have been the cause of many scouting, map to compass navigation mistakes. 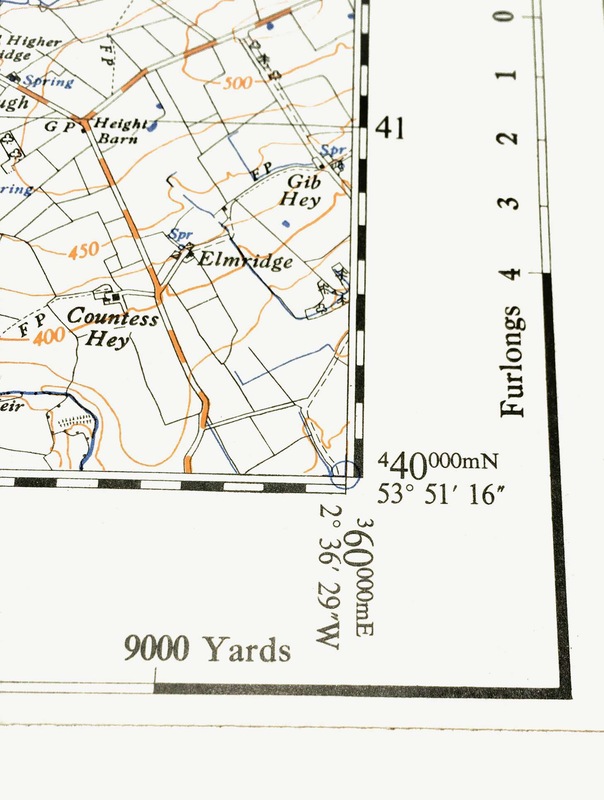 (It is now zero, or just swinging back in parts of the UK) In a seemingly odd mix of metric and imperial, the grid is based on 1km squares, but we are reassuringly told that one square inch presents 99.619 acres on the ground. This entry was posted in comment and tagged Beacon Fell, cartography, fairsnape, Inglewhite, maps, ordnance survey, strava on August 13, 2014 by martin brown.